Tree workers and arborists are not the same thing. Anyone with a pickup truck and a chainsaw can start a tree service company…. Who do you call for professional Atlanta tree services? The leading tree professionals, 72 Tree, Seed & Land Company. 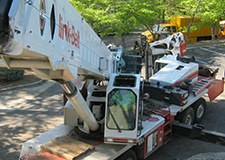 We are not just an ordinary tree service company. 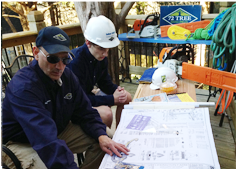 72 Tree is a 3rd generation, multi-professional organization with the combined knowledge of arboriculture, construction and management in Atlanta and the Southeastern United States. • 72 Tree has been providing tree removal, pruning and preservation services while protecting ecosystems, people and property for over 45 years. • We have consultants in Texas, California, Georgia and New York but we base our operations in the Atlanta metropolitan area. • We have the experience and skill to be entrusted with 300-year-old specimen trees, delicate habitats or botanical gardens. • The professionals at 72 Tree work in a manner that supports the ecological balance of the property. • Unlike some of the “other guys,” we are a licensed, fully insured contractor for all tree services. Is routine tree pruning necessary? Regular maintenance is necessary for many trees in Atlanta. Tree pruning can help improve your trees’ health, their aesthetic appeal and reduce the likelihood of failure. Improper pruning by cut-rate tree services can stress a tree, putting it at increased risk of decay; instead, choose the professionals at 72 Tree for all of your Atlanta tree pruning needs. • We can trim your tree to reduce its overall height or profile. It is important to reduce properly; “topping” or cutting the main trunk of a tree is very stressful and puts the tree at extremely high risk for failure. • 72 Tree can perform a technique called “crown raising” to provide better clearance under a tree for cars, pedestrians or service access. • “Crown thinning” is the practice of selectively – and carefully – removing branches from inside the main crown of the tree. This permits more air to flow through the tree, reducing the force the wind, snow or ice may cause. However, care is necessary, as improper thinning techniques can make a tree more susceptible to blow-over. • If your tree has numerous dead branches, a “crown cleaning” will help to reduce unnecessary weight, prevent the advance of decay and reduce the hazards associated with falling limbs. • 72 Tree has an ornamental tree division that specializes in pruning, maintaining and caring for small, ornamental trees. Whether you need us to trim your Japanese maple or train your crepe myrtle, our skilled arborists are here to help. Besides pruning, can 72 Tree handle other types of tree services? 72 Tree can serve all of Atlanta’s tree service needs. We employ trained professionals with a variety of different skill sets. • We provide professional stump grinding services. Do not confuse our work with that of the “other guys”; we grind trees down safely and professionally, we carefully backfill the holes caused by tree removal and we are particularly cautious grinding stumps near existing tree roots. • We provide professional grading services to help make your landscape match any vision you may have for it. • We can design, install and maintain tree protection strategies to reduce the risk associated with construction projects. • Our arborists are experienced in tree appraisal, and can work with you to determine replacement costs or navigate other financial matters. • We provide risk assessment consultations that can determine the survivability or hazard rating for trees. • We can help with any bio survey or inventory needs, including invasive plant removal. 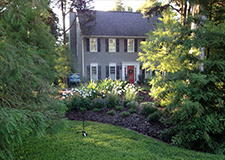 • We provide mulching services while advocating non-dyed mulch. • We provide the least invasive methods of tree inspection tools fertilization, bio-stimulants and advocates the organic approach to tree care. 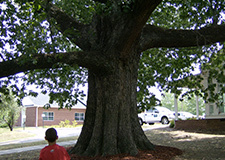 • We provide an ecological approach to Tree Service & Care and is advocated by the U.S. Forestry Service, Georgia Forestry Commission, Georgia Arborist Association, U.S. Fish & Wildlife Service and USDA. What kind of service can you expect from 72 Tree? 72 Tree offers the finest service in the entire tree industry, period. We have spent the last 45 years developing the skill sets, experience and strategies to provide the safest, lowest-impact service possible. • While the “other guys” will pollute your neighborhood with a cacophony of noise from chainsaws, grinders and chippers, 72 Tree values the peace and quiet of residential neighborhoods and quiet commercial parks. • We haul away all debris with a grapple truck, allowing us to perform most noisy tasks at an industrial site – not your neighborhood street. • When pruning trees, we use specialized, arborist hand-tools rather than chainsaws whenever possible. Doing so is not only quieter; it is safer for our employees, your family and property. • 72 Tree conducts a thorough inspection prior to beginning every job, to check for any previous damage to trees or infrastructure. Other contractors or extreme weather often causes such damage, and it is imperative that we find such damage before beginning work. • The employee who provides your estimate will remain on site for the duration of the job to address any questions or concerns. Contact 72 Tree now to schedule tree services or call us at 678-223-5495.